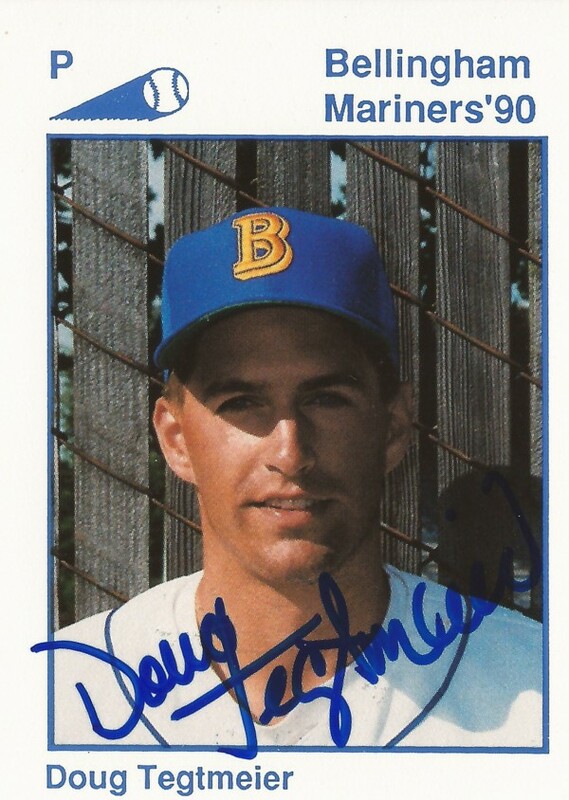 Doug Tegtmeier went Alaska in 1989 and helped the Anchorage Bucs to a title. Tegtmeier went unbeaten for the Bucs that summer, going 10-0 as the Bucs won their first Alaska League pennant. Tegtmeier went on from Alaska to turn pro the next year. He played in three seasons, but didn't see the kind of success in the pros that he saw in collegiate summer ball. He never made AA. 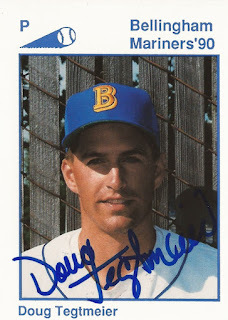 Tegtmeier's career began in 1990, signed by the Mariners as an undrafted free agent out of the University of Nebraska. At Nebraska, Tegtmeier made the school's record book, just not in the categories he'd have liked. He took six losses and walked 53 in 1989. He threw 12 wild pitches in 1988 and walked 130 over his college career. Tegtmeier started with the Mariners at short-season Bellingham. In 17 relief outings, he picked up a win and turned in a 2.21 ERA. He moved to high-A Peninsula for 1991. In 50 outings, one start, he went 3-3, with one save and a 5.35 ERA. Tegtmeier didn't play in 1992, then returned for one final season in 1993 with independent Duluth-Superior. He went 3-4 over 22 outings, eight starts, with a 4.54 ERA to end his career. Tagtmeier has since returned home to Nebraska and gone into the manufacturing business. In 2016, he was named CEO of Titan IBC, a company that makes stainless steal tanks.